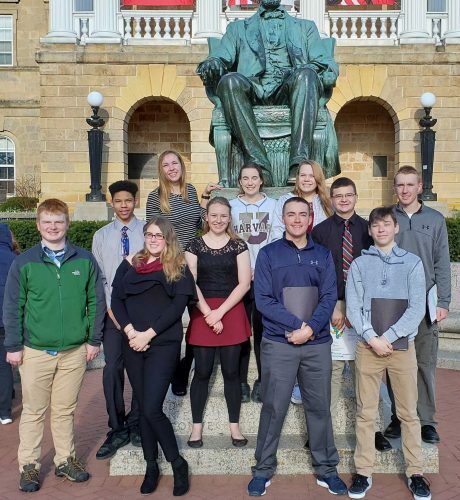 MARINETTE, Wis — The University of Wisconsin-Marinette Continuing Education Department will offer a leadership camp for students who wish to develop their character and improve their leadership skills. The camp will run from 9 a.m. to 3 p.m. July 30 to Aug. 3 at UW-Marinette. The camp is $140, which includes breakfast, lunch, and a T-shirt. Registration is open for youth grades 5-9. Participants will learn how to break free from peer pressure and influence others in positive ways, experience greater empathy and minimize bullying among students, embrace a growth mindset that values hard work and resilience, capitalize on personal strengths to be career-ready upon graduation, and develop critical thinking skills that produce better life choices, such as choosing healthy friends, improving study habits, and setting goals. Instructors Romy and Brenda Blystone believe “identity” informs our relationships, priorities, and purpose in life. For this reason, they incorporate character building alongside our leadership training, because they believe leaders need both. From learning one’s ecological footprint to their personality profile… Romy and Brenda Blystone help students learn about who they are and who they want to become in positive and healthy ways. This is what true leadership is all about. For the past 25 years, Romy Blystone has worked with youth by teaching and coaching in schools and on sports teams as well as mentoring and training in churches and workplaces. Recently, Blystone became a certified Habitudes master consultant. Today, Romy’s passion is helping all people develop character/leadership habits, social/emotional intelligence, and employability/entrepreneurial skills. From his personal testimony to his image-rich and impactful Habitudes lessons, Blystone’s message rings true no matter where you come from… or where you are going. Brenda is a Spanish teacher and Student Senate advisor at Marinette High School. She has been involved in student leadership activities at MHS for 25 years. She has also served as a counselor for summer leadership camps through the Wisconsin Association of School Councils. She was chosen as the WASC regional advisor of the year and is a distinguished educator. She is enthusiastic about helping students learn more about their leadership potential and has a passion for working with youth. For more information go to www.marinette.uwc.edu/ce, www.TheLeaderCamp.com, or call 715-504-3303.